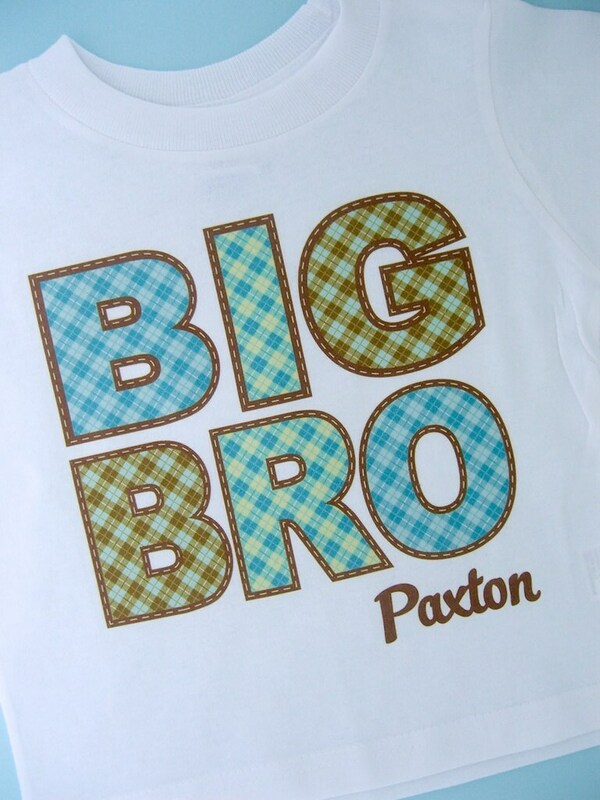 This Big Brother Plaid design in brown and blue is made to look like appliqué but isn't. Applique can be very scratchy against your child's skin as the stitching is along the back side as well. 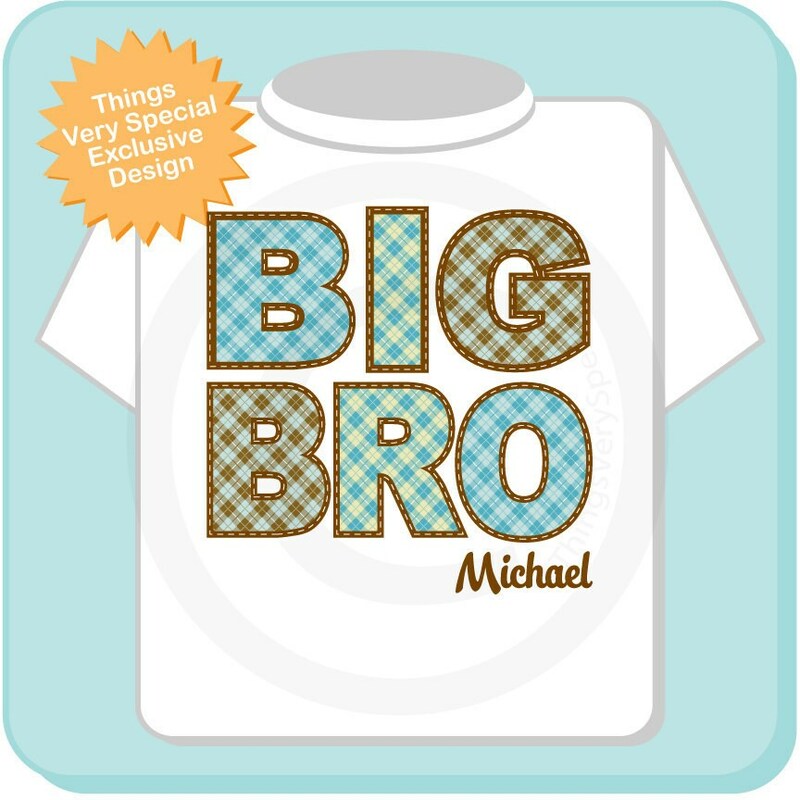 With this design there is mock stitching. No actual stitching is done on this design. 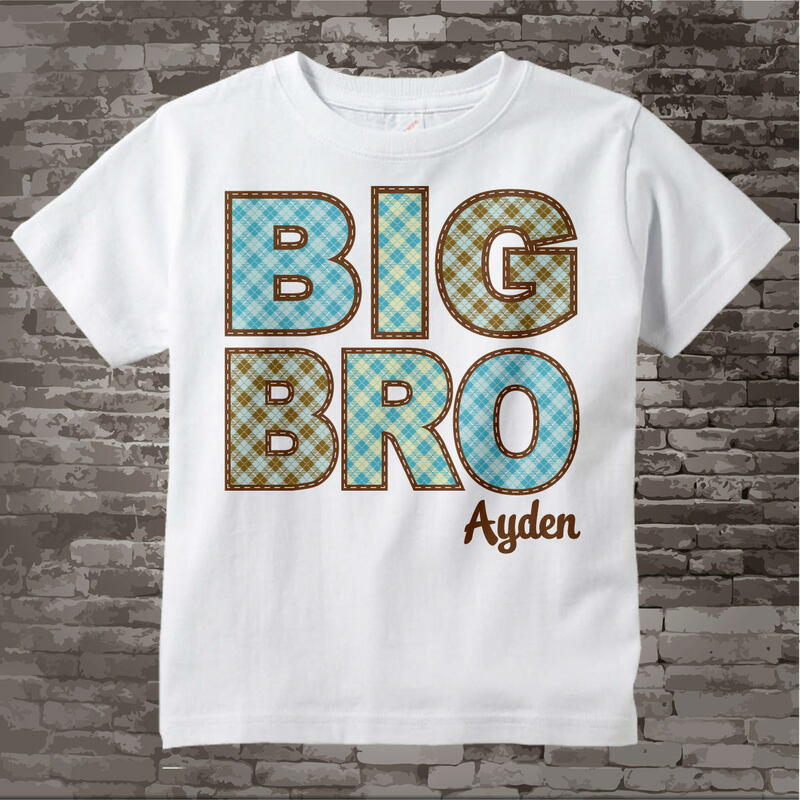 The design of the plaid is imbedded directly into the fabric of the tee. So it's all one piece. so nice!! really looks just like the picture!!! Arrived quickly, is adorable. 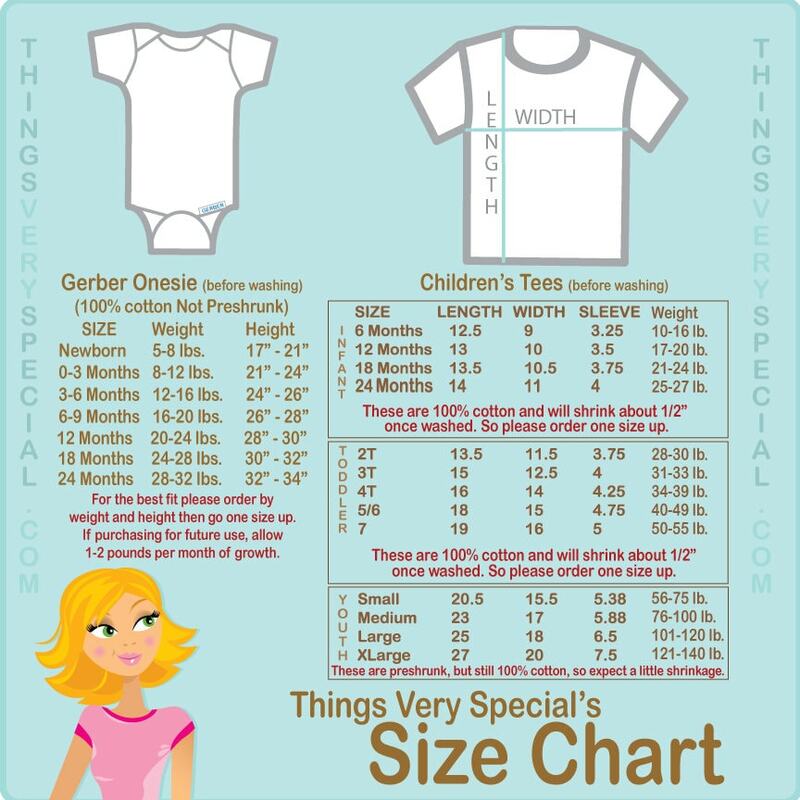 Cannot wait to put this on my 16 month old to announce our pregnancy with #2 to our parents! 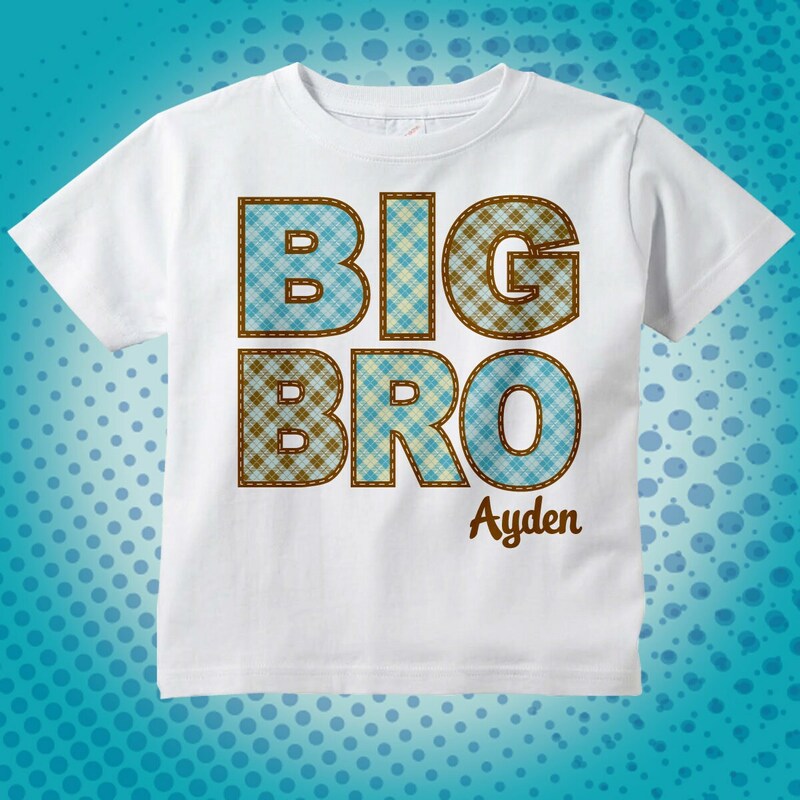 These were the cutest shirts for our grandsons to welcome their new brother.